Sarah Adams-Cornell is being honored for her efforts to replace Columbus Day with Indigenous Peoples Day. Her leadership on this issue garnered tremendous public support, and it resulted in a vote in the Oklahoma City Council — which fell short when the City Council failed to support the initiative. She managed to galvanize groups of diverse people to stand up for human rights. “Sarah Adams-Cornell’s dedication to uplifting and engaging her fellow Indigenous Peoples to fight for their rights and representation in the public sphere is unmatched. “In a state like Oklahoma, it is sometimes disheartening and discouraging when we pride ourselves on Native History, but turn our backs to their struggles. 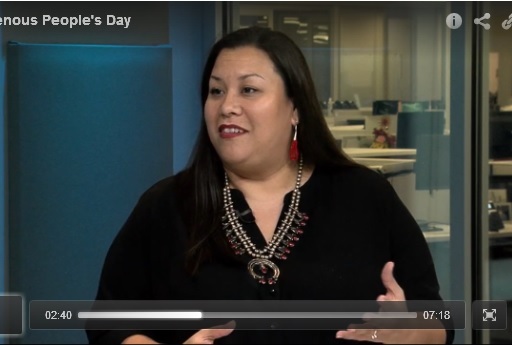 She is finding a way to empower indigenous youth and adults to engage in civic participation while educating the general community about Indigenous Peoples and Cultures to create change. “Her work promotes human rights for a population that has been ignored for far too long and has been subjected to racism, prejudice, and numerous injustices. She, and other Native leaders, led the effort to replace Columbus Day with Indigenous Peoples Day which garnered tremendous public support, but failed when the City Council voted. She managed to galvanize groups of diverse people to stand up for human rights. Marq Lewis and "We The People Oklahoma"
Mr. Lewis and his organization are being honored for their efforts to call attention to police violence as well as misconduct in the office of the Tulsa County Sheriff. Our Human Rights Day program is the continuation of a tradition that started under the old Oklahoma Human Rights Commission (which was abolished after Governor Mary Fallin took office in 2011). Since 2012, the Human Rights Alliance — a non-profit, non-partisan, all-volunteer organization — has recognized Oklahomans who, through their voice and action, have helped to illustrate the importance of human rights in our state. (A listing of previous winners of the award can be found here: 2012, 2013, 2014). This year, our list of winners will include more than a dozen organizations and individuals who have helped to support human rights where we live. Marq Lewis felt compelled to form We The People Oklahoma in 2014 after attending a vigil for 19-year-old Jeremey Lake, who was shot and killed allegedly by an off-duty Tulsa police officer whose daughter Lake had been dating. 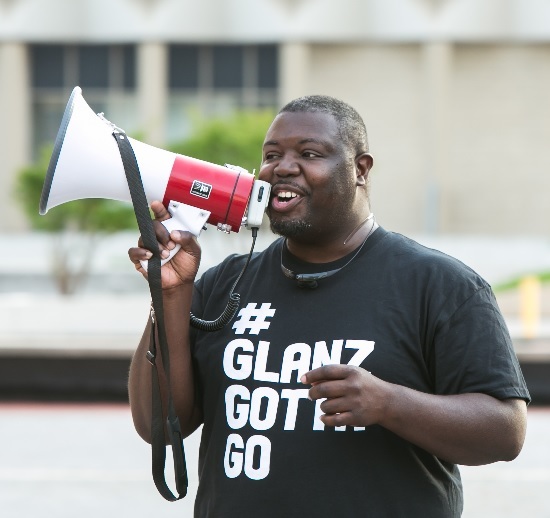 In 2015, after the death of another man during an arrest by the Tulsa County Sheriff’s Office, Lewis organized a successful petition drive for a grand jury investigation. 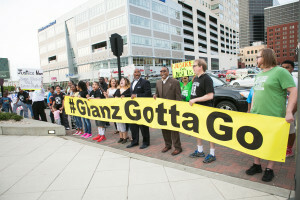 Sheriff Stanley Glanz ultimately resigned from office after indictments were issued by the grand jury. Marq Lewis is celebrated for his positive energy, leadership, and enthusiasm. Chickasha, and Elsewhere in our Great State! If you value the rights expressed in the Universal Declaration of Human Rights — and who doesn’t? 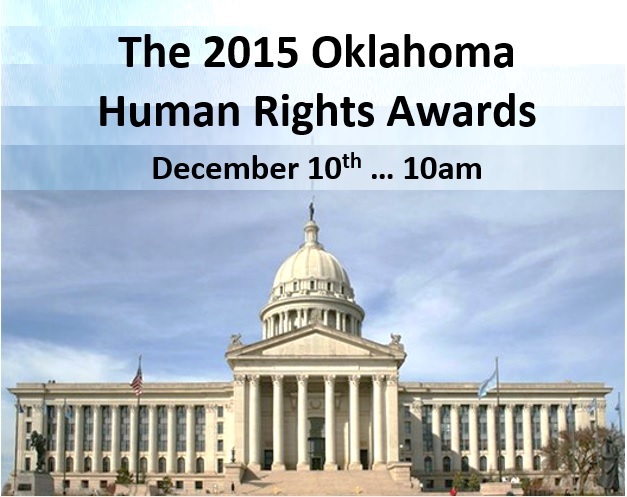 — you are invited to attend the 2015 Oklahoma Human Rights Awards program on December 10th at the State Capitol. The awards are sponsored by the Oklahoma Universal Human Rights Alliance with help and assistance from the Oklahoma City chapter of the United Nations Association. Award winners will include Sarah Adams-Cornell (Oklahoma City), Marq Lewis and “We The People Oklahoma” (Tulsa), Dr. Jeanne Mather (Chickasha), the World Experiences Foundation (Norman), Hilda De Leon Xavier (Oklahoma City), and many more. 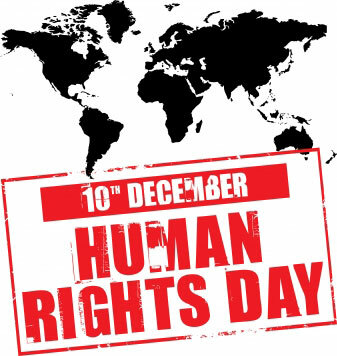 Human Rights Day (December 10th) is celebrated around the world. It is the anniversary of the day in 1948 when the General Assembly of the United Nations adopted the Universal Declaration of Human Rights (UDHR), the first global enunciation of human rights and one of the first major achievements of the new United Nations. 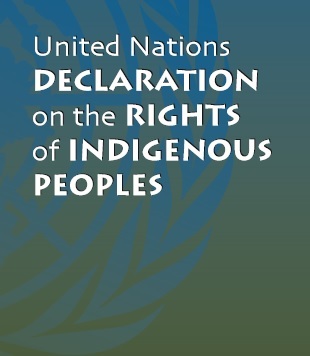 The Universal Declaration of Human Rights arose directly from the experience of the Second World War and represents the first global expression of rights to which all human beings are inherently entitled. 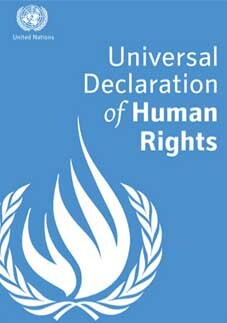 The thirty articles of the Declaration are generally agreed to be the foundation of modern international human rights law. They have been elaborated in subsequent international treaties, regional human rights instruments, national constitutions, etc. Come help us celebrate some of the many human rights heroes who inspire and encourage us in Oklahoma. More details about our program and our winners will be announced in the coming days and weeks. First, you should know that Dr. Marc Levin’s talks in OKC and Edmond are made possible because of the support of the members and friends of UNA-OKC. 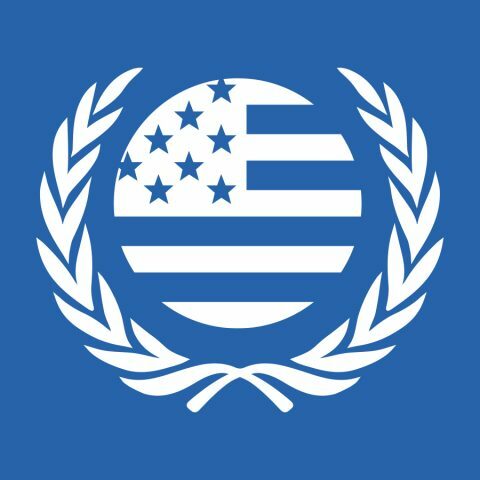 We’re the Oklahoma City chapter of the United Nations Association. Our friends include the OU Physicians. They are co-sponsoring Dr. Levin’s appearance at the Samis Education Center at Children’s Hospital. At UCO, we need to acknowledge the great support of the International House (where Dr. Levin will speak) as well as the UCO Model UN club. Most of all, we want to thank the members of our Association. Without you, we would not be able to bring Dr. Levin to our community. 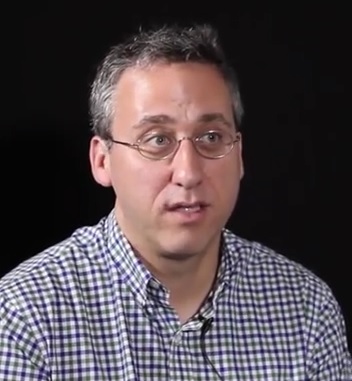 Dr. Levin is a volunteer for Doctors Without Borders / Médecins Sans Frontières (MSF). He’s not a full-time staffer. We don’t expect him to know about all of the MSF operations in more than 70 countries around the world. We won’t ask him to recite all of the details about the bombing of the MSF hospital in Kunduz, Afghanistan, or about the other attacks on medical facilities in South Sudan, Syria, etc. We do expect Dr. Levin to offer helpful insights about providing health services to populations affected by conflict, neglected diseases, and recurrent epidemics. And we think he will help to inform our understanding of the importance of international humanitarian law (under which MSF operates). “MSF provides assistance to populations in distress, to victims of natural or man-made disasters, and to victims of armed conflict. They do so irrespective of race, religion, creed, or political convictions. 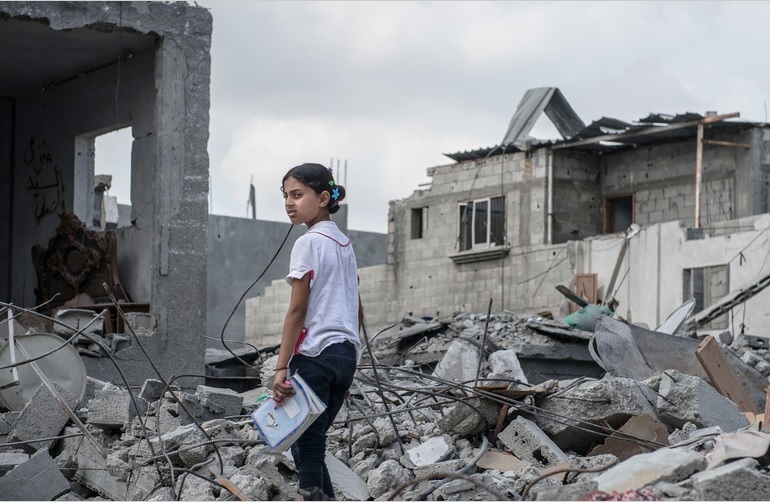 “MSF observes neutrality and impartiality in the name of universal medical ethics and the right to humanitarian assistance and claims full and unhindered freedom in the exercise of its functions. “Members undertake to respect their professional code of ethics and maintain complete independence from all political, economic, or religious powers. MSF shares many common values and objectives with UN agencies that help to serve the humanitarian needs of our global civil society. The medical services provided by MSF help to support the sustainable development goals of the United Nations. All are working toward the fulfillment of the Global Goals related to ending extreme poverty. 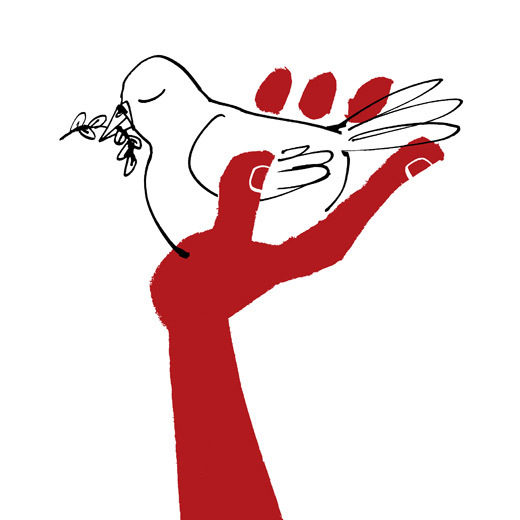 Both MSF and the UN are also working in support of basic human rights as expressed through the Universal Declaration of Human Rights. 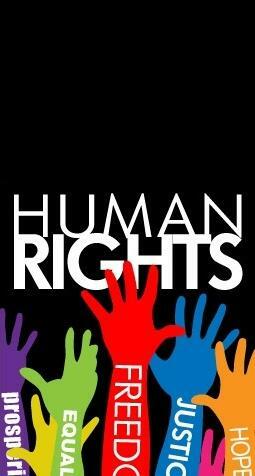 The Universal Declaration proclaims that, “All human beings are born free and equal in dignity and rights. 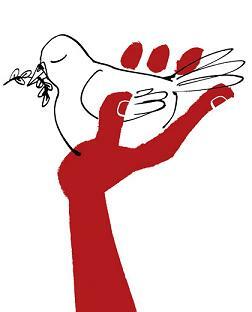 They are endowed with reason and conscience and should act towards one another in a spirit of brotherhood.” This is a common value that illuminates the work of both the UN and MSF. We’re asking everyone to “RSVP” if you’re planning to attend either of Dr. Levin’s talks. “RSVP” means register in advance. It isn’t a strict requirement. But it will help us prepare for the events if we know about how many people are planning to come. Thanks to the support of our members and friends, we are able to bring Dr. Levin to Oklahoma at no cost to the Central Oklahoma community. … Feel free to share this message with friends who may be interested. Do you know a human rights hero who works to advance equal justice and equal dignity for people in Oklahoma? Nominations are now open for the annual human rights awards that are co-sponsored by the Oklahoma Universal Human Rights Alliance (OKUHRA) and the Oklahoma City chapter of the United Nations Association of the USA (UNA-USA). Do you know a human rights hero who works to advance equal justice and equal dignity for people in Oklahoma? Please consider nominating them for a recognition award through OKUHRA and UNA-USA. As in previous years, we will honor these human rights heroes at a special mid-day ceremony at the Oklahoma Capitol on December 10th, Universal Human Rights Day — which happens to fall on a Thursday this year. Please note that nominations must be submitted by Tuesday, December 1st. If you do not have access to the online nomination form or if you have any questions about the nominations process, please feel free to call Wilfredo Santosrivera: 405-631-3027. The annual Human Rights Day observance at the State Capitol carries on a tradition that was started by the Oklahoma Human Rights Commission many years ago. We are proud to carry on this tradition of honoring the men and women in our state who help to define the meaning of human rights where we live. 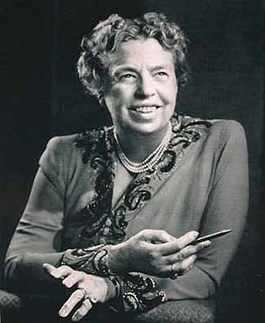 –Eleanor Roosevelt, “The Great Question,” remarks delivered at the United Nations in New York on March 27, 1958. ᏂᎦᏓ ᎠᏂᏴᏫ ᏂᎨᎫᏓᎸᎾ ᎠᎴ ᎤᏂᏠᏱ ᎤᎾᏕᎿ ᏚᏳᎧᏛ ᎨᏒᎢ. ᎨᏥᏁᎳ ᎤᎾᏓᏅᏖᏗ ᎠᎴ ᎤᏃᏟᏍᏗ ᎠᎴ ᏌᏊ ᎨᏒ ᏧᏂᎸᏫᏍᏓᏁᏗ ᎠᎾᏟᏅᏢ ᎠᏓᏅᏙ ᎬᏗ.